VATICAN CITY — Pope Francis has accepted the resignation of a Chilean cardinal who has faced widespread criticism for his handling of cases of clerical sexual abuse in the country. The cardinal’s is the eighth resignation Pope Francis accepted after almost every bishop in Chile offered to step down in May 2018 after a three-day meeting at the Vatican to discuss the clerical sexual abuse scandal. In each case where he accepted a resignation, the pope named an apostolic administrator to lead the diocese temporarily. For the administrator of Santiago, the pope chose Bishop Celestino Aos Braco of Copiapo, who will turn 74 April 6. 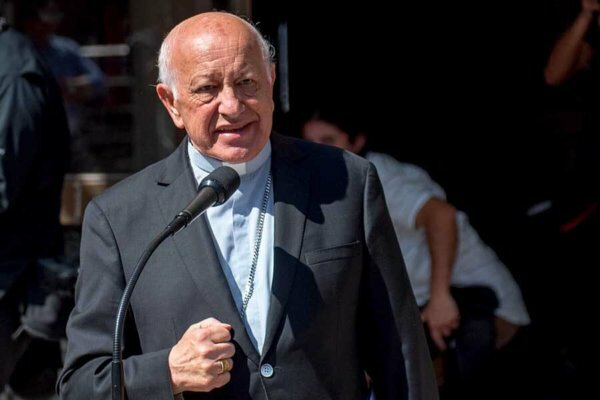 The announcement of the cardinal’s resignation comes just over a week after a Chilean news outlet published a 2015 criminal complaint made against Cardinal Ezzati and the Archdiocese of Santiago that revealed a case of sexual abuse that occurred in the cathedral of Santiago and its subsequent cover-up. Responding to reporters’ questions March 23, the cardinal said he will speak “at the appropriate time” and is consulting with his lawyers to make that happen. However, he also said, he leaves the archdiocese with “my head held high, sure that my innocence will be proven” and that people will recognize how much he has done to respond to abuse allegations. Bishop Aos, celebrating Mass in the Santiago cathedral March 24, acknowledged how destructive the crime of abuse has been for the victims and for the whole church. Survivors of abuse have been critical of Cardinal Ezzati and the country’s bishops not only for mishandling cases of abuse, but also for allegedly misinforming the pope about the reality of sexual abuse in the country. Among the cardinal’s most vocal critics is Juan Carlos Cruz, who along with fellow survivors Jose Andres Murillo and James Hamilton, were invited to meet with the pope last April at the Vatican. “They called me a ‘serpent,’ they called me everything. I told the Holy Father, and he said he was hurt,” Cruz said.